Pireta the developer of truly wearable smart textile technology, has been selected to exhibit at the IDTechEx Show! in Santa Clara, USA. Pireta will be exhibiting as part of the IDTechEx Launchpad, an initiative that gives early-stage companies the opportunity to showcase their state-of-the-art technologies to over 3,500 attendees. As one of just ten companies selected, Pireta will be unveiling its highly innovative e-textile technology for the first time. Pireta's unique and patented free-form printed circuit process allows electronic systems to be assembled directly onto textiles. Unlike printed conductive links, Pireta's technology has no impact on the handle, drape, stretch or breathability of the fabric, enabling a new generation of truly wearable smart garments and e-textiles. Pireta's highly innovative process attaches a thin, highly-durable metallic layer at the fibre level, resulting in excellent conductivity but with no impact on the performance of the textile. This means that electronics can be integrated into stretchable, breathable, washable smart garments that can be worn close to the body with ease and comfort, making them 'truly wearable'. The technology is compatible with standard industry processes, using commercially-available equipment and low-cost chemistry. It can be applied to finished garments or fabric on the roll, making it suitable for both niche and mass markets. Applicable to a wide range of textiles and fabrics, Pireta's process can be applied in wearable and e-textile applications targeted at numerous sectors, including healthcare, defence, sport, and fashion. Pireta at the IDTechEx Show! Pireta's booth, at location ZB41, will give attendees the opportunity to see the technology in action, including demonstrations of printed circuit samples, created on a range of fabricsusing Pireta's innovative process. There will also be the opportunity to book one-on-one consultations with Pireta to find out more about the potential applications of the technology and to discuss joint development opportunities. Chris Hunt, Founder and CTO of Pireta said, "We are thrilled to show the industry how our technology can change the future of e-textiles and enable a new generation of truly wearable smart garments. 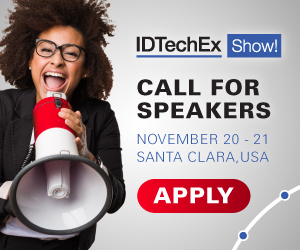 The IDTechEx Show! is an excellent opportunity for us to showcase our technology, and we are really excited to have been selected to exhibit as part of the Launchpad programme."